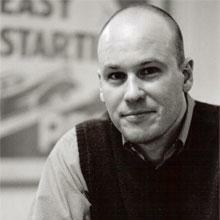 Ben Ratliff is a staff critic at The New York Times, where he has been writing about jazz and pop music since 1996. He is the author of three books, including “Coltrane: The Story of a Sound” (FSG, 2007), which was a finalist for the National Book Critics Circle Award in criticism. His writing has appeared in Granta, Rolling Stone, Spin, The Village Voice, Slate, Lingua Franca, and other publications.